Are you in urgent need of an emergency plumber in London? Homecure Plumbers are ready to help. Homecure Plumbers offers fast and specialist solutions to plumbing emergencies. Faced with a desperate need for assistance? Our highly-trained professionals are available immediately for same-day call-outs. Gas and water emergencies can be very serious if ignored or left too long, which is why we offer emergency plumbing in London 24 hours a day, seven days a week. No matter where in the capital you live, we will be on hand to fix your plumbing problem and get you back to normality. A plumbing emergency can turn into a plumbing disaster very quickly. Don’t wait for things to get worse. 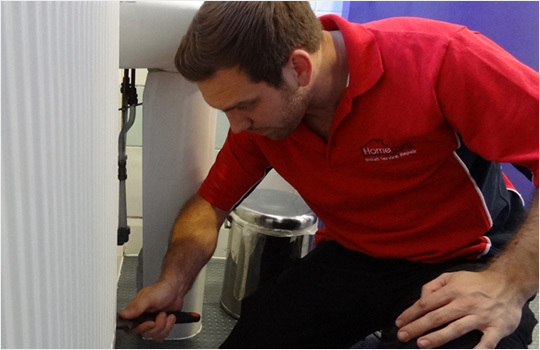 Contact our emergency plumbers in Greater London on 0800 020 9222 for free (0203 504 4000 for mobiles) immediately. Why Call Out Our Emergency Plumbers in London? What makes Homecure Plumbers right for you? We go above and beyond to find the most skilled and attentive staff around. 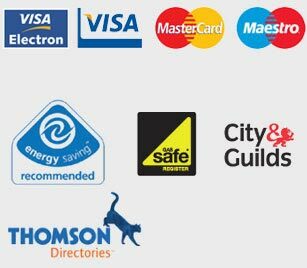 Not only are all our plumbing engineers Gas Safe registered and certified by City & Guilds, but we also ensure they can demonstrate genuine problem-solving skills and practical fault-finding expertise: two essential traits of a top emergency plumber. We take great pride in our quality of service and workmanship. All jobs comply with necessary safety and industry regulations. 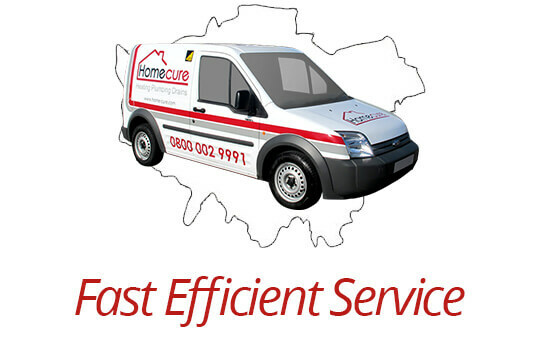 Offering a 24/7 emergency plumbing services across all of London and the home counties, we guarantee you’ll find nobody better or more suited to your problem than Homecure Plumbers. Uncertain as to whether your plumbing problems constitute an emergency? If they are causing property damage or posing even the slightest risk to safety, get in touch with us now! Leaks: Central heating and water systems should be airtight. Anything leaking, even seemingly minor issues, can become an emergency very quickly. Look out for drips coming from pipework, puddles around sinks or appliances, or anything else that gives you reason to suspect a leak. No Hot Water: A lack of hot water can have numerous causes ranging in severity, not to mention being an absolute nightmare. Homecure Plumbers can quickly isolate the issue and get the hot water flowing. Sewer Backup: Having sewer waste backup into your home is a disaster. Gurgling toilets, multiple and severe drainage clogs and a strong odour are early warning signs. Any occurrence of sewage backup is a definite plumbing emergency. Water Pressure Problems: Low water pressure, or a complete lack of running water, can indicate serious issues within your home. Don’t delay in contacting our emergency plumbers. Malfunctioning Boiler: Boiler misbehaving, making loud noises, switching itself off or simply not working altogether? Boilers are complicated machines, so internal issues can get worse over time and lead to even bigger issues. Faulty boilers need fixing immediately. Remember: these are just examples of common plumbing emergencies. If you have serious concerns about your safety or are experiencing problems that are not on this list, but you still believe urgent attention is required, get in touch. You can also call us to discuss your plumbing problems and, together with our experts, determine if you need immediate action. If you are concerned you might be facing a plumbing emergency, don’t wait any longer. Contact Homecure Plumbers now with your urgent gas or water issues and we’ll arrange an immediate call-out.